A reverse license plate search can be done in a couple ways. The first way is to go into the DMV to and request this information. They will ask you to provide a verifiable reason of why you’re searching for license plate information. They will most likely charge you a nominal fee for a copy. The second and much easier way, to get a reverse license plate or VIN number search, is to use a public records website. Not all public record websites will have DMV and vehicle records so do your due diligence before buying anyone’s service. You can try our license plate search for free with our 5 day free trial. You will have to show proof of this and attest to the fact that you won’t share this information or use it for any purposes under the FCRA. 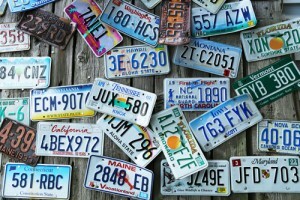 There are some online reverse license plate resources but be careful. Very few of these public record websites can give you accurate nationwide reverse license plate search data. One means of verifying you’ll be getting accurate results is if the website asks you the same criteria the DMV would ask you. Additionally, any online website should also give you partial vehicle record results before signing up. This will save you some headache when trying to find vehicle records online. Every vehicle registered has a license plate. This is the motor vehicle department’s way to attach a vehicle to a person for recording and accountability. You can perform a reverse license plate search by entering it into the search form above. Additionally every vehicle that was manufactured and sold in the United States has a VIN number. This is to identify the vehicle and all it’s options. Check out our FREE VIN Decoder below. We can certainly help you out with a reverse license plate search but this sounds like it’s a police matter. I would contact your local police and give them this information. I have included some helpful links below. Please reach out if there are any additional license plate or VIN number searches we can assist you with. Using wildcard chars and other data such as year, make, model possible? These would help narrow down the search. In order to perform a vehicle records or license plate search, with our resources, you will need the complete license plate number and/or VIN number. Unfortunately our database is not setup to use wildcard characters or search by make and model. If you can provide us with the information you have we can check our database. I am in a situation. My vehicle is damaged and my friend lost teeth. Hit and run. I only have partial plate number and make. Authorities cannot file without full plate number. Can you help? To access our reverse license plate search you will need a complete license plate number and the state it’s registered in. You will also have to read and agree to the terms and conditions of our reverse license plate lookup before obtaining any vehicle information. If you’re interested in a reverse license plate lookup then you follow the instructions below. License plate records may vary from state to state. Results may include license plate records, VIN number information, safety and recall data, owner information, driving records, criminal records, public records and more. In order to perform a reverse license plate number search you will also need the state of registration and agree to our terms and conditions before receiving any vehicle related information. Hey….looking for a >2008 Honda CRV with a state of Maine plate of ? ?51 U? I was hoping to use wildcards, but read in a comment that you cannot. Any help is appreciated. Unfortunately our system does not support wild cards for our reverse license plate number search. We will need the full license plate number and state of registration or the VIN number to lookup vehicle records in our database. You will have to contact the Maine BMV to inquire about this. We can certainly assist you with a reverse license plate search and reverse VIN number search however you will need to agree to the terms and conditions of our vehicle records search. With our resources you will need to locate the license plate number to find out owner information, which you might be able to find from the VIN number. Our resources show that the VIN number belongs to a 1995 Chevrolet C/K 1500 Series. If I know the license plate number and name of the owner, how can I know the address? In order to receive reverse license plate owner information you will need to agree to our terms and conditions. You can also visit the DMV to inquire about owner information but you will need to show them an acceptable reason for doing so. Following my vehicle i believe it may be in attempt to steal my vehicle. If you’re concerned for your safety or your property being stolen you should call the police immediately. Unfortunately we don’t have an affiliation with local law enforcement. My sister has VIN number for her car but needs to find out the license plate number to give to police because her vehicle was just stolen. Can we find license plate number by searching on VIN? It is possible to obtain license plate information from the VIN number. Try our Free VIN Decoder to see if you can find what you’re looking for. If you have the bill of sale then you should be fine with registering your vehicle and transferring the title. You best bet would be to visit the DMV in person and inquire about getting a duplicate title. Make sure to bring in all the information you have on the sale of the vehicle and your driver’s license number. Unfortunately we cannot assist you with a reverse license plate search at this time. In order to use our reverse license plate search tool you must first read and agree to the terms and conditions of our search. Remember that it illegal to stock or harass anyone. Please use our reverse license plate number search tool responsibly. I am trying to confirm the owner of a particular car when it was at a specific location and photographed. There is a legal problem with that person and we need to confirm who owned that car on the date of that picture. Would this plate look up tell me the owner of said vehicle? Also, I have had several cars stolen over the past 15 years and would like to run my vin numbers to find out where they may have ended up; could this site do that if they had been documented anywhere? In order to use our vehicle record resources, including our reverse license plate lookup and VIN check resources you will need to read and agree to our terms and conditions of our search. Not all reasons are valid reasons to vehicle information. If you cannot find the information you’re looking for with our vehicle resources you can also reach out to the DMV and inquire there. We are sorry to hear about your vehicle theft. Unfortunately we cannot provide you with a license plate number with a name search, our reverse license plate resources need the license plate number and state. You should contact the DMV and inquire about your license plate number and file a stolen vehicle report with your local police. You should also report your stolen vehicle ASAP to your insurance company. A police report will corroborate your story.